We follow the golden rule that winemaking starts at the very vineyard – that’s why we grow quality grapes with excellent characteristics. We give the vines the time they require to build a carbohydrate reserve, we do green pruning and optimize the leaves mass, so to allow for more sunlight to reach the fruit. Harvest is only done by hand, in small crates that take two minutes to be transported to the cellar. Then follows a secondary selection – picking only the best grapes. The standard vinification is done in stainless steel containers at controlled temperatures; whereas the secondary vinifaction is done in French oak barrels. 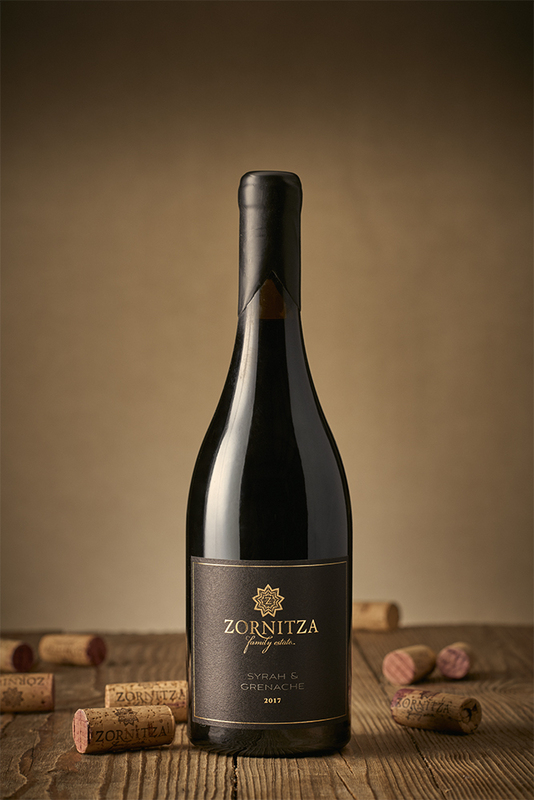 The flagship of Zornitza’s 2017 vintage continues in the same style as the pilot Syrah Fifty/Fifty 2016. 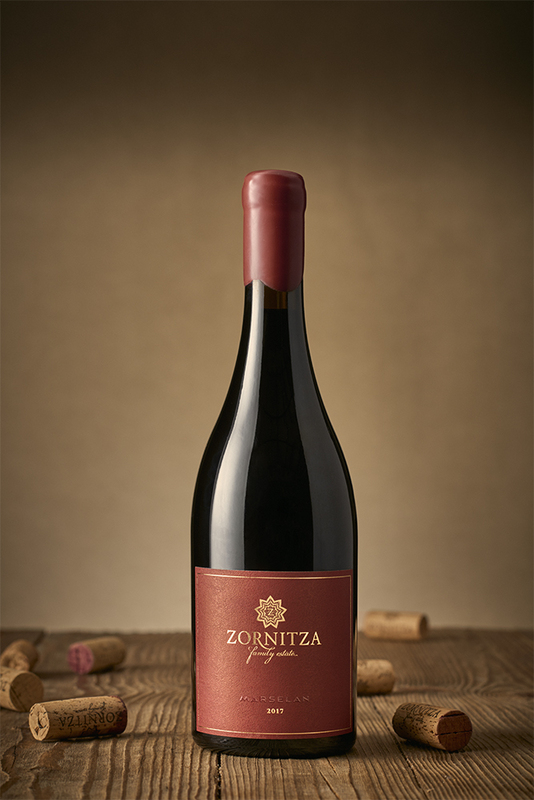 This wine was made with the ripest grapes from the third and fourth Syrah harvests. 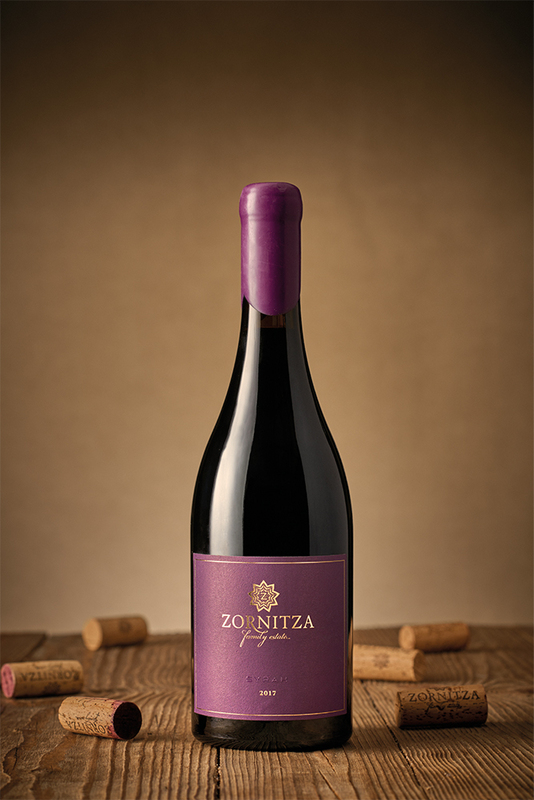 It will tempt you with a deep purple colour and all aromas and tastes that come with a quality Syrah. A wine for competitions and special occasions. 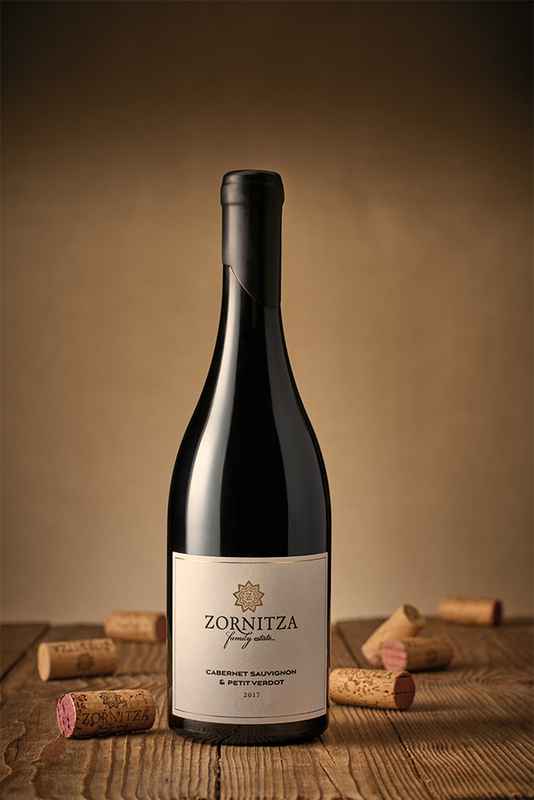 The grapes in this delicate, light and elegant wine are from the first of a total of four harvests of Syrah in Zornitza Family Estate Relais & Châteaux. The wine is remarkable for its superbly clean, ripe-fruit flavour, with hints of sweet spices, bonbons, and an exceptionally soft, balanced finish. 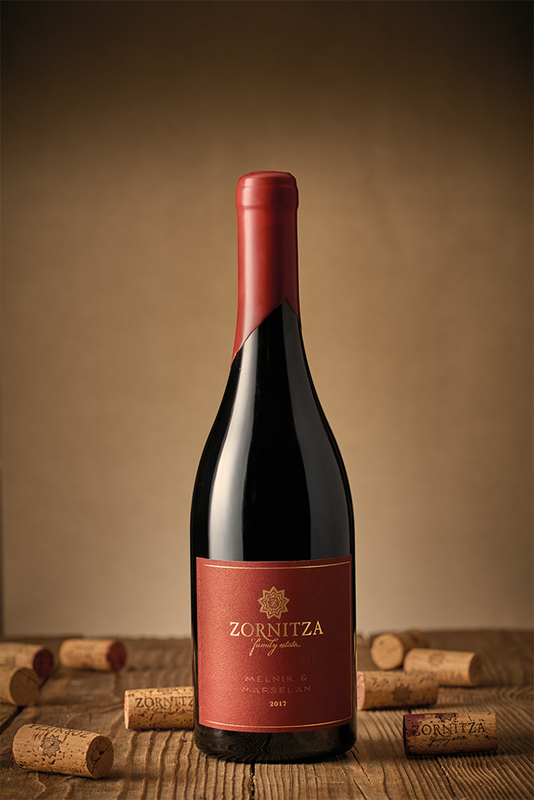 The Syrah grapes for this blend were selected from the estate’s second harvest. The result – a balanced and complex wine, with a bouquet of fruity flavours which are difficult to identify due to their similar intensity, but their combined effect makes for an incredibly charming wine. A truly brave decision – 100% Marselan, which we can’t really say is typical for the Melnik region because it is normally associated with France. A formidable wine, high in acidity, tannins and alcohol, and with huge fruit reserves. You are sure to remember it, but should you forget all about it and come upon it in the cellar a few years later, the pleasure will be even greater. An exceedingly interesting and impressive wine – medium body, very fresh and with a ripe-fruit flavour. Dry, perfect balance and dominance of the Broad- Leaved Melnik Vine. An excellent choice for the summer season, as it can be served slightly chilled, Pinot Noir-style. 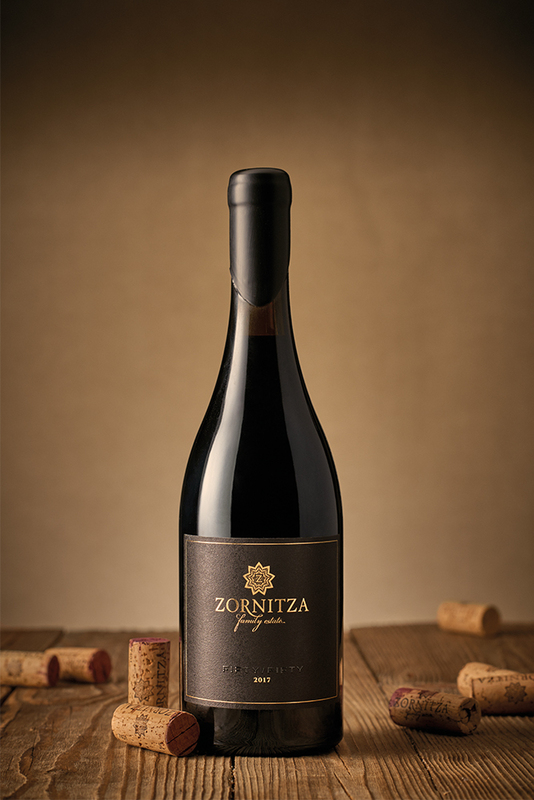 A new blend for Zornitza Family Estate Relais & Châteaux, which tickles the senses with its medley of black and red fruit nose, enriched by nuances of smoke, caramel and vanilla. You will do well to pair it with roast meat.